I am new to sentisight and sorry for asking this question. How to read and display from camera ? Are there any simple tutorials to learn from scratch ? Please check samples provided with SDK on how to read and display from the camera. There is also a tutorial provided with SDK that shows how to get the frames from the camera. Tutorials provided with SDK show how you could learn and recognize the objects. I am new to sentisight. In the given SentisightSampleCS, i want to save all the learn image in some folder. After learning the image or video using mouse, i want to create the bounding rectangle around the part of image or video selected and save it. Currently it won't save the learn image and pass it to database after clicking the Save model button. Admin: merged to "SentiSight SDK questions"
I am new to Sentisight. In the given sample SentisightSampleCS after learning the image or video file by using mouse, how can i can save that learn model in some folder as image. I want to create the bounding rectangle around each and every learn model to save it . such functionality is not implemented in the Sample. So if you need such functionality you need to implement it by yourself. Yes, i know this functionality is not there in sample. What i want to know is in which format the learn model is pass to database and frankly speaking i was not able to understand where it happen. Yes i know that, but i was not able to identify how and where the image(model) is passed to database and in which format. It will be very helpful if you guide me. I know that, but i am not able to understand where in source code sentisight take image of model and passed to database and also how. Can we save model after after converting to bitmap(code in which model is passed to database) ? patiljagdish wrote: Yes, i know this functionality is not there in sample. What i want to know is in which format the learn model is pass to database and frankly speaking i was not able to understand where it happen. patiljagdish wrote: Yes i know that, but i was not able to identify how and where the image(model) is passed to database and in which format. patiljagdish wrote: I know that, but i am not able to understand where in source code sentisight take image of model and passed to database and also how. Can we save model after after converting to bitmap(code in which model is passed to database) ? first of all i would like to ask you to read the documentation of the SentiSight SDK, section "2.3 Main SentiSight API functions". Here you will find that the SentiSight engine is using models, but not images for recognition. Creation of model from image is called "Learning". It dope snot matter, what format of image you will be suing, as it will need to create the NImage from your image (bmp, jpg and etc.) and then use the SEEngine.Learning.AddToModel method to learn the model. If you have a database with already learned models, then you will need to load the to SEEngine at the start up of it. If you need to save images in the database too, then you can implement it by yourself. Just use standard tools of your programming language to save image in the database. I want to know how to retrieve the images added to model, while learning process. I want those images in any standard format(.png , .jpg, etc..). model does not contain any images. so if you need to have images, then you should save them separately. However, there are lots of error that I cannot figure out. Plz help me. The errors as listed below. 1>Build log was saved at "file://c:\Program Files\Neurotechnology\SentiSight 3.1 SDK Trial\Samples\SentiSight\CPP\SentiSightSampleWX\Obj\Win32\Debug\BuildLog.htm"
please use instructions below to recompile wxWidgets. 2. Open VS command prompt. 6. Open VS 64-bit command prompt. Finally, Visual Studio include and library paths have to be setup. I figure it out now. I have another question. Does Sentisight have function to support the measurement of the size of object? For example, I know Sentisight can recognize a nut, but how can I measure its length? I saw in the advertise video when sentisight detects a calculator. It seems like the software can measure the distance or size of the calculator or something. SentiSight does not have such functionality, but you can implement it by yourself. First of all you will need to define the size of the learned object and save it (i.e. in the database). Once the SentiSight engine recognize your learned object it is returning the shape. so you can calculate the size of returned shape and compare it with your saved size. Note, that the camera should be positioned at the same exact distance from the object during both learning and recognition. I want to change the name of learn model present in sentisight database, rather than learning it again. the model by itself does not contain the name. The id (name) is specified when the model is added to SentiSight engine. So if you have changed the model name in your database, then add it to the SentiSight engine with the new name. If you need to change the name of the model in the SentiSight engine, when the model is already added, then you will need to remove this model and add it again with the new name. the SentiSightSample does not store models as separate files. It uses the SQLite database to keep learned models and their ids. If you need to get learned models from this database, then you need implement the functionality in this sample to retrieve the models from it. Also you can use tutorial "Learning" to learn your models and save them as files. I want to display the the name of model in console or write in some file which is being recognize. Is there any function to do so ?? Re: Any function or method to display the model recognise ? There is no special function for the name. But here is how you could get the name. You should store this id somwhere with it's name (for example, in database). Please check SentiSightSampleCS sample how it is implemented - it uses database as described above. Faster object recognition when using blob-based algorithm. Color usage mode for accuracy improvement when using blob-based algorithm. Image quality check to improve learning and recognition accuracy by accepting only good quality images or video frames. SentiSight Embedded 1.1 for Android platform also includes the mentioned improvements. Hello, I have to question regarding to the sentisight sdk. 1. right now I use the trial version, and try to manipulate the c# sample code. I noticed that the resolution is very low. also the app doesnt allow me to upload too big images. is there a way to change this? is that different in the full version? 2. when I test the accuracy rate of recognition, I find that when I try to recognize a reflective image, the accuracy rate is much lower than in matte objects. before I try to add code to neutralize the brilliance, I wonder if there is already any code in the sentisight sdk that applies it. chani wrote: Hello, I have to question regarding to the sentisight sdk. Please explain what do you mean by saying "resolution is very low". Also explain what do you mean by saying "too big images". The functionality of trial and non-trial version of the SDK are identical. The only difference is the licensing service. chani wrote: 2. when I test the accuracy rate of recognition, I find that when I try to recognize a reflective image, the accuracy rate is much lower than in matte objects. before I try to add code to neutralize the brilliance, I wonder if there is already any code in the sentisight sdk that applies it. Yes, you are correct. The reflective objects recognition is worse than matte objects. There is no any functionality to preprocess the images. in "too big images" I mean that if I try yo upload to the app an image heavier that 3 Mb I receive an error message says "32 bit image can"t process image this large". also I never manage to apload video files unless I have created them using the "learn/recognize from camera" option in the app. 1. I made my own changes in the sample code and i want to execute it to another computer, but the .exe file never works. when I click on it I receive a message that the program has stopped, although when I debug it runs nicely. what could be the problem? 2. is there a maximum number for the scoring? I want to normalize it into "similarity percentage" but I didn"d find any documentation about the scoring method. 3. is there a way to manipulate the frames rate? my camera is supposed to capture 30fps, but when I use the app to capture a shot of video I receive about 100 frames for a 30 seconds shot. chani wrote: thank you for your answer! Send an e-mail with issue description to vaidasz [eta] neurotechnology.com. Send couple of such images as well. Also provide steps to reproduce the issue. Yes, you are correct. You could choose resolution that camera returns. chani wrote: 1. I made my own changes in the sample code and i want to execute it to another computer, but the .exe file never works. when I click on it I receive a message that the program has stopped, although when I debug it runs nicely. what could be the problem? It seems you are missing libraries. Are you sure you have all necessary libraries in your SDK start-up path or in system environment variables. As you may know, our .Net dlls depends on native dlls. For example, Neurotec.dll depends on NCore.dll. And .Net dlls could not be loaded from system environment variables - they either have to be at same directory as your application start-up path is or in GAC. My recommendation would be to have all (.Net and native) dlls at your application start-up path. Also make sure you are using correct dlls - if it is 32bits OS, then dll for 32bits OS; if it is 64bits OS, then dll for 64bits OS. chani wrote: 2. is there a maximum number for the scoring? I want to normalize it into "similarity percentage" but I didn"d find any documentation about the scoring method. No, there is not maximum. The more features are extracted in both enrolled model and the one sent for matching, the more score there could be scored. That means, it is not possible to convert the score to similarity percentage. 4. 50.000 is bad and it is something like 1-2.
chani wrote: 3. is there a way to manipulate the frames rate? my camera is supposed to capture 30fps, but when I use the app to capture a shot of video I receive about 100 frames for a 30 seconds shot. It depends on the codec you choose. Try choosing different one. I need to extract data from ID image. 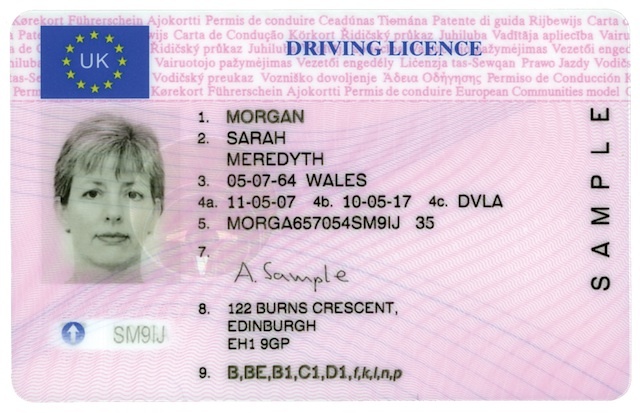 First I need to detect what type of document user provided: UK driving license, California driving license and so on. So I"m going to use SentiSight to detect a type of ID. What is the best approach to learn such type of images: using image mask or using polygon? 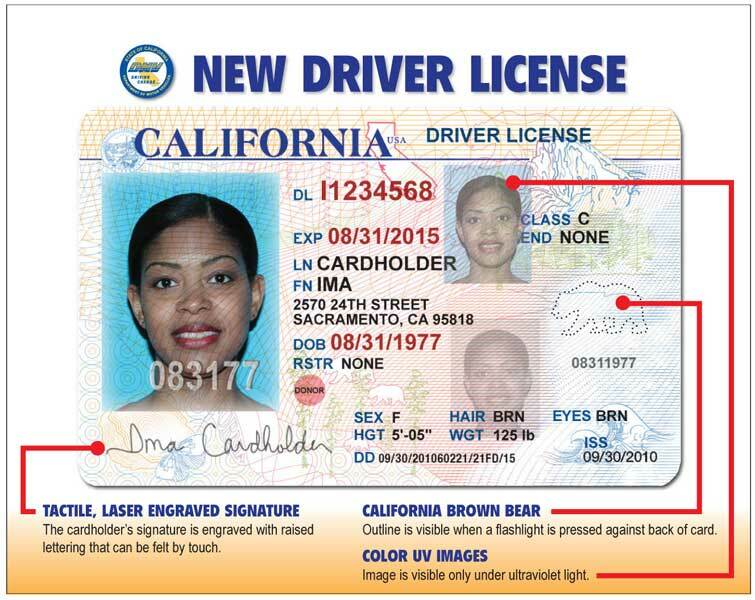 I need to detect ID type(UK driving license, California driving license and so on) by image provided by user. What is the best approach to learn SentiSight in this case: using image mask or using polygon? to be able to say if such documents can be recognized by using a SentiSight, we need to get as many sample images as you can provide. So please send them to support@neurotehcnology.com. we have recently purchased SentiSight sdk and will run it in Linux. it would be apprecaited if some could advise me of the FULL list of Linux programmes required to opearte the system . minijo wrote: we have recently purchased SentiSight sdk and will run it in Linux. it would be apprecaited if some could advise me of the FULL list of Linux programmes required to opearte the system . the requirements are provided on our website. SentiSight 3.3 for object recognition on PC platform is now available. The new version includes SentiSight libraries update to match the Neurotec Biometric 5.1 libraries. SentiSight Embedded 1.2 for Android platform also includes the mentioned improvements. The function NImageCreateFromDataEx takes as first argument a type NPixelFormat_ with the underscore. but these are of type NPixelFormat without the underscore. How can I convert this useful value NPF_RGB_8U to the proper type? D99000706 wrote: The function NImageCreateFromDataEx takes as first argument a type NPixelFormat_ with the underscore. use the NPixelFormat without the underscore. 1	error C2664: "Neurotec::NResult Neurotec::Images::NImageCreateFromDataEx(Neurotec::Images::NPixelFormat_,Neurotec::NUInt,Neurotec::NUInt,Neurotec::NSizeType,Neurotec::NSizeType,const void *,Neurotec::NSizeType,Neurotec::NUInt,Neurotec::Images::HNImage *)" : cannot convert argument 1 from "Neurotec::Images::NPixelFormat" to "Neurotec::Images::NPixelFormat_"
NPixelFormat pixFormat = NPF_RGB_8U;	// can't use this????? If we use the NUint that is commented out it works okay. please create a small test application and send it to support@neurotechnology.com with the issue description. Is it possible to have the SentiSight recognition engine only look for objects in a particular region / zone of an image? Or, will the image need to be cropped in a separate process? ssimpson wrote: Is it possible to have the SentiSight recognition engine only look for objects in a particular region / zone of an image? Or, will the image need to be cropped in a separate process? no, there is no possibility to define that the object would be recognized only in specified region. You need to crop the image before recognition is done. Fastest and has smallest template size, suitable in most situations. rotated object recognition). About 5%-10% slower and has about 20%-60% bigger template size than for low profile learning mode. 5%-10% bigger template size compared with low profile. Fastest and has the smallest template size, suitable in most situations. Adds additional information, improves recognition for all types of objects. Adds additional not rotation invariant information, improves recognition quality for not rotated objects (has no impact on rotated object recognition). The getMode() method seems to work, if the SELrnMode.LOW_PROFILE or SELrnMode.HIGH_PROFILE mode is actually set via the API. The correct one is the upper one. By the way the recent version of the SDK has merged LowProfile and HighProfile. So use the HighProfile instead of the LowProfile. We will check this on our side. I downloaded a SentiSight Algorithm Demo to try this algorithm. In shape feature type I cannot save a model. I loaded an image, selected object bounds and tried to save a model. Then I saw a message:"Model is empty.Please add at least one shape to model." Irina chrome wrote: Hi, everyone! this is a bug in the demo application. I have reported it to our developers. I will inform you about the fix as soon as it will be available. SentiSight SDK is for devlopers who want to use computer vision-based object recognition in their application. It is not suitable for motion detection, but rather suitable to find if the image contains the learned object. SentiVeillance SDK has mode for motion detection. My supervisor just give me the SentiSight folder and tell me to work on it. But my problem is after i search the folder i can"t open the application to sentisight. So i want to know what is the application name to open the SentiSight application? thanks a million. SDK provide libraries, which allows to use the SDKs functionality in your application. Please take a look at sample/tutorials, to find how to use functionality of the SDK. The SDK includes already built samples, i.e. SentiSightSampleWX.exe, which can be run to see how the SentiSight functionality can be used. Other samples/tutorials are provided as source codes in "samples", "tutorials" folders of the SDK. We are using the SentiSight 3.3 SDK to train and recognize images. We thought it was possible to separate the training and recognition into 2 programs by saving the model to disk. However, we cannot find how to do this in the documentation. We see a function in the docs called SEModel.Load(System.Byte) but cannot find an associated save or write function. Is this possible? Can you guide us on how to do this? SEModel.Save().ToArray() will return the byte array, which you can save as file by using standard programming tools. By the way model saving as a file is shown in tutorial "Learning".